Talk to us about designing a country retreat for your next getaway. We offer a variety of accommodation and dining spaces, and can assist in the organisation of many nature-based activities in the surrounding areas. 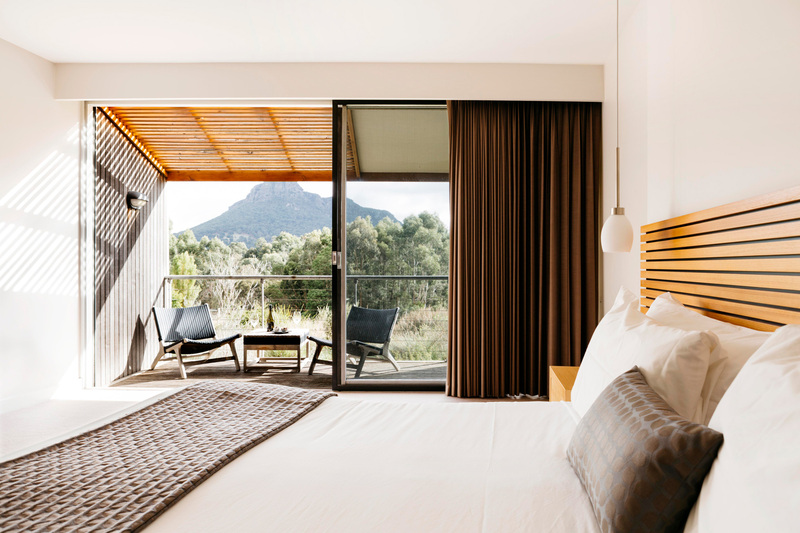 With sweeping views of Victoria’s Grampians, complete with private balconies and rainfall showers, the Deluxe Mountain View rooms idyllically showcase the peaceful surrounds of Dunkeld whilst still being conveniently located on-site at the Royal Mail Hotel; moments away from award-winning food and wine experiences. Our Mt Sturgeon Bluestone Cottages have been converted from the station’s shearers and cooks quarters into luxury accommodation overlooking the mountain range, 3 kilometers away from the main hotel site. The secluded cottages provide a cosy sanctuary, ideal for a romantic getaway in regional Victoria. 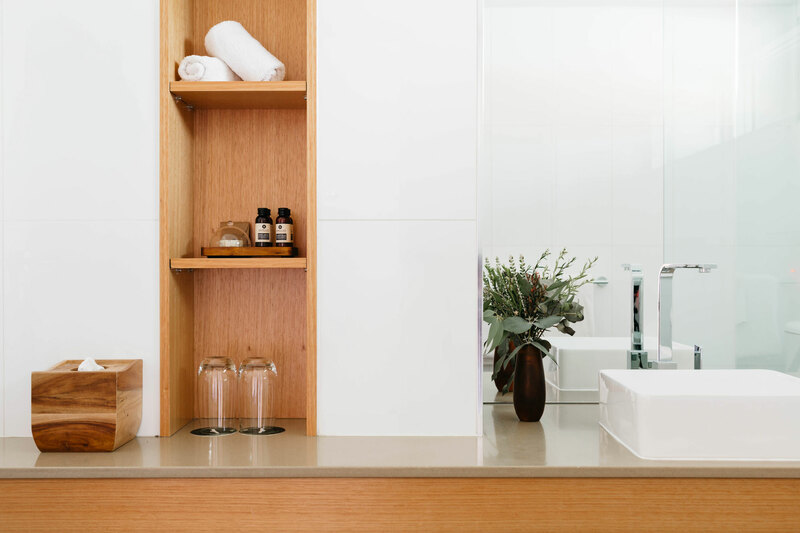 Without phones or televisions, the cottages allow guests to unwind and reconnect. Pets are welcome and some cottages have accessible features. 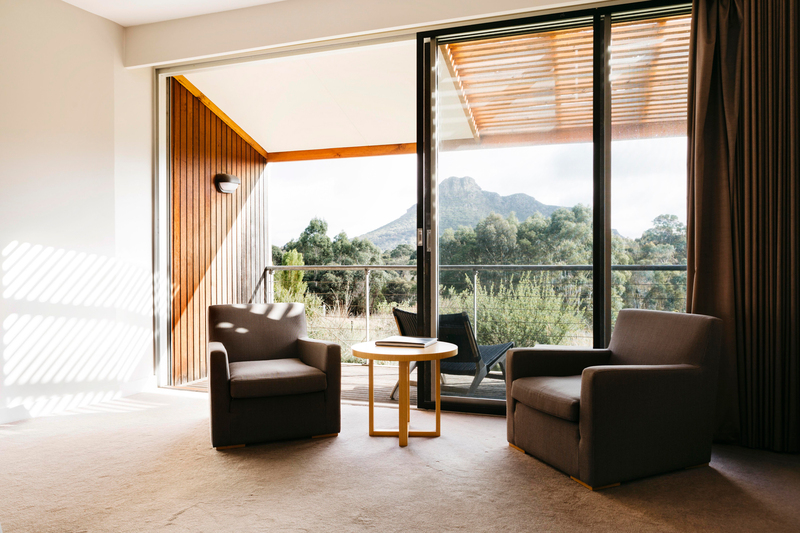 Our one and two bedroom Apartments offer sweeping views of the Grampians Mountain range, set on site the main hotel complex, within landscaped Australian gardens. The double story apartments feature a separate dining and lounge area with bedrooms upstairs. Wifi and Foxtel are included. 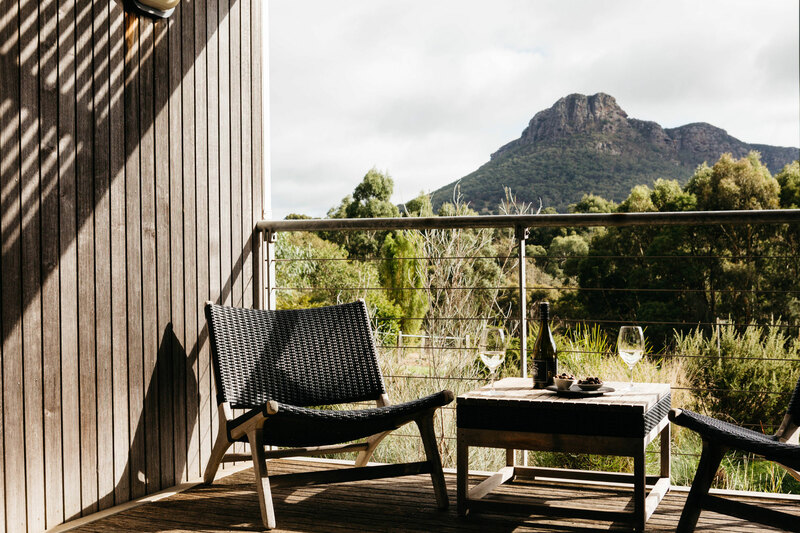 A remote location to unwind on the Southern tip of the Grampians National Park. The Royal Mail Hotel’s Mt Sturgeon Station is a piece of Australia’s colonial history that can be shared with friends and family for an idyllic regional Victorian getaway, hired as an event or wedding venue or a site for your next corporate retreat. Three kilometres from the Royal Mail Hotel and the Dunkeld township, guests have the option of complimentary transport to and from the homestead to the dining rooms, or to indulge in an on-site dinner prepared by the award-winning kitchen brigade. 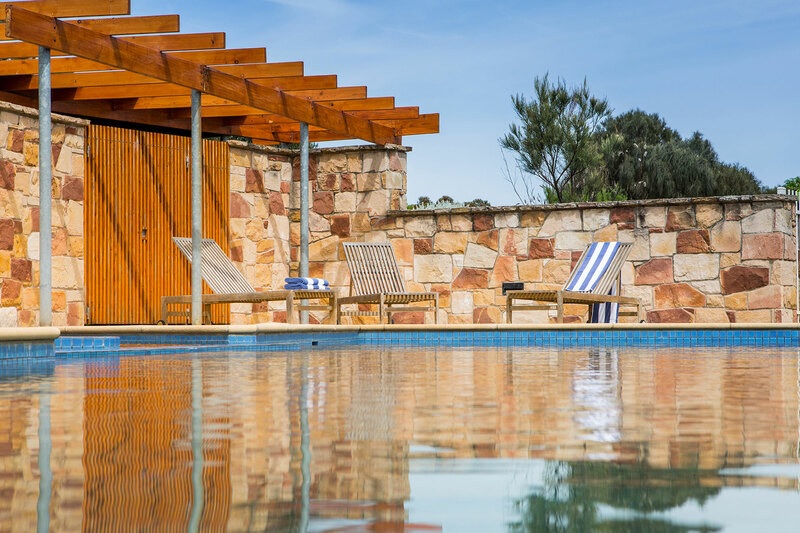 For a country getaway with friends in Victoria’s Grampians, look no further than Mulberry House. 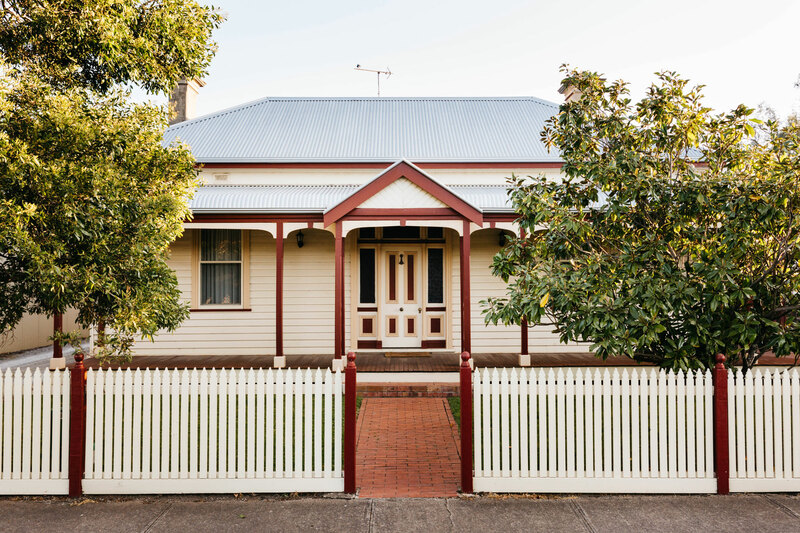 The beautifully restored residence, complete with four bedrooms and a wrap-around balcony, is located in the main street of Dunkeld, within walking distance from the Royal Mail Hotel precinct and a short car ride away from the many nature-based experiences the region has to offer. The Royal Mail Hotel often has specials and packages on offer to celebrate the an event or change of season at the hotel. Click below to see the latest offer available. For the hotel's Terms & Conditions, refund and cancellation policies, click here.